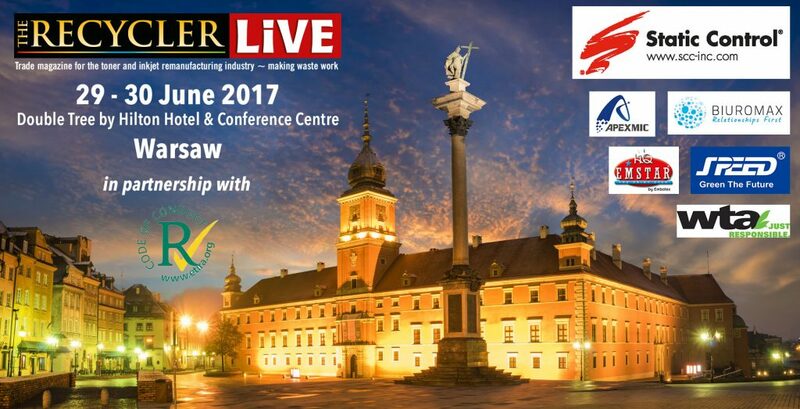 The Recycler is pleased to announce the 2017 Sponsors for The Recycler Live – Warsaw Conference, taking place at Warsaw’s DoubleTree Hotel & Conference Centre from 29-30 June this year. The Recycler is also pleased to confirm that Apex Microelectronics, Biuromax, Embatex, Speed Infotech and wta Carsten Weser as gold sponsors for The Recycler Live – Warsaw Conference. The Recycler is also in discussions with two additional sponsors and will announce their participation shortly. The Recycler Live – Warsaw Conference, in partnership with Etira, the European trade association, is a forum that brings together delegates from all sectors of the office imaging industry from Europe and beyond to discuss the latest trends and issues impacting the industry today. 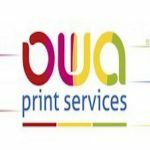 Toner and Inkjet remanufacturing is a very active sector across Europe involving several thousand companies who produce, remanufacture and sell up to 100 million toner and inkjet imaging cartridges a year within the EU. 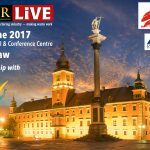 The Recycler Live Warsaw Conference sold out!